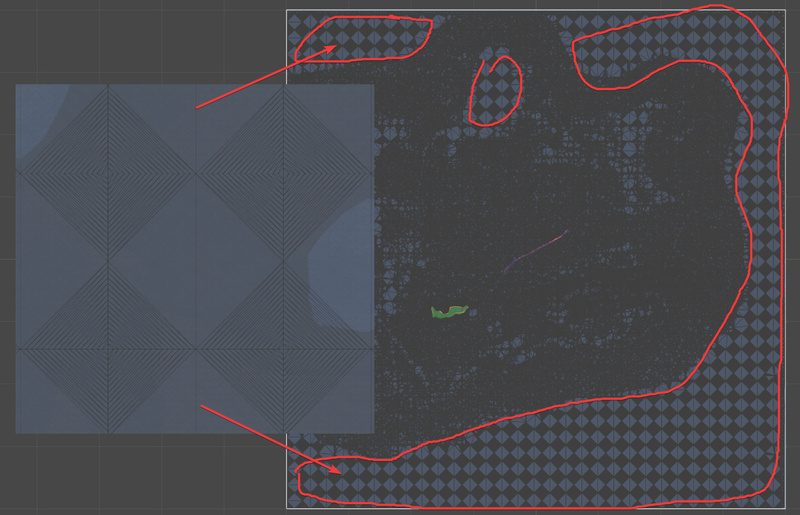 How to get rid of these multiple triangles? 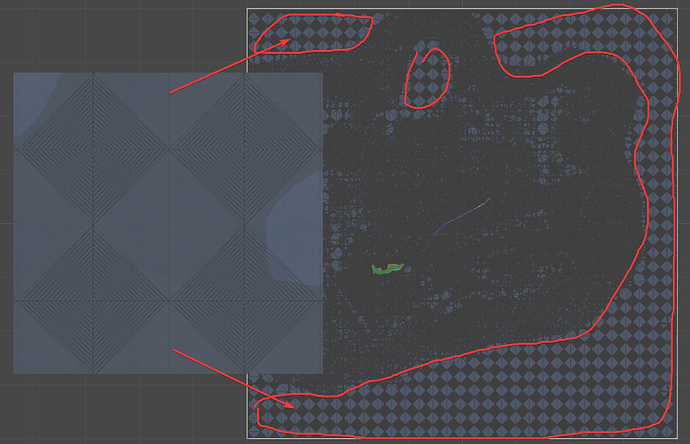 And how to make these tiles more equal, cause now the path-finding goes all the way around the central area? 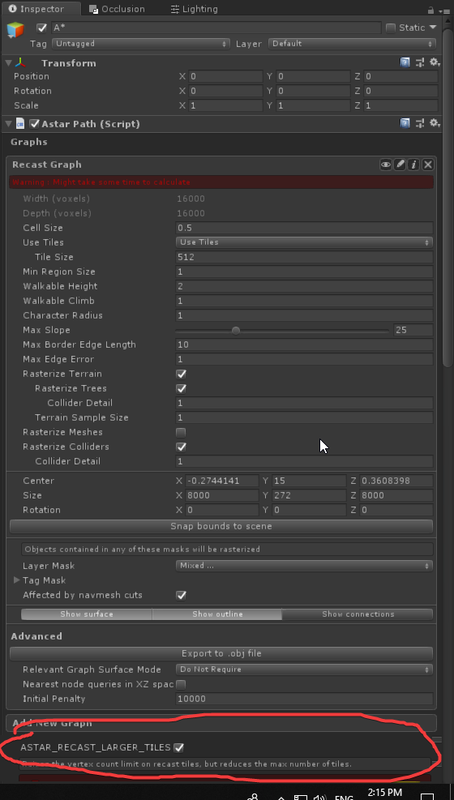 Don’t objects take into consideration the size of a tile when calculating the path? This terrain is 8000x8000, with a lot of trees, buildings etc. in the middle and wide empty areas around. 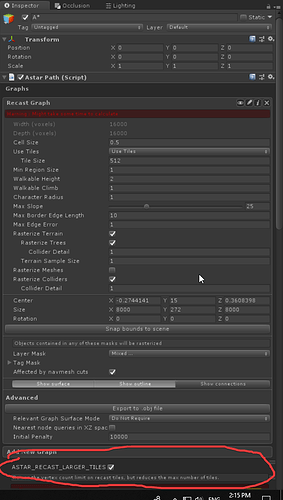 You can reduce the number of triangles there by increasing the ‘max border edge length’ field in the recast graph settings. Right now it is configured to split your borders every 10 world units. Recast graphs do unfortunately not work that well if there are huge regions of empty space as the triangulation makes things a bit weird there.